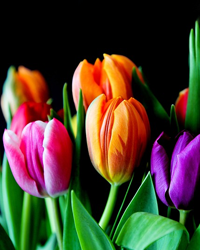 Obituary for Marrida Joan (Coop) Ribeau | Clark-Gashaw Mortuary, Inc.
Marrida J. Ribeau, 86, of Osborne, KS passed away on Sunday, March 17, 2019 at the Parkview Care Center. She was born on May 25, 1932 to Lloyd & Grace (Martens) Coop in Osborne County. Marrida graduated from the Osborne High School in 1950. Marrida married Paul Ribeau and to this union, one son was born. Marrida was a professional gardener, raising plants and vegetables. Marrida was preceded in death by her parents, her husband, Paul, a son, Joe in 2012 and a grandson. Marrida is survived by her sister, Millie Spears of Osborne.